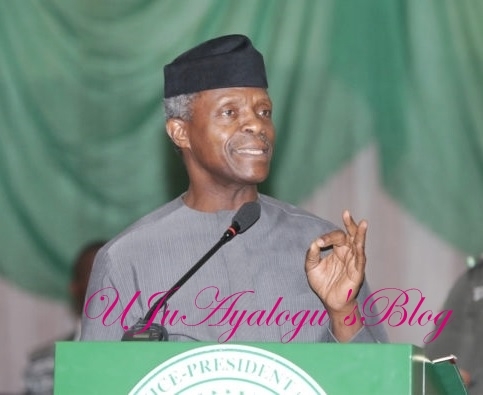 The Vice President, Professor Yemi Osinbajo, says the time has come to open a new page in the Federal Government’s fight against corruption. Vice-President Yemi Osinbajo says the anti-corruption fight in the country must take a new turn for it to succeed. collaboration with the National Judicial Institute (NJI) in Abuja. He said the administration was reviving the anti-corruption system for speedy dispensation of justice. “We are re-jigging the entire system; the chief justice of the federation has laid down the rules and he has encouraged everyone to follow suit,” he said. While expressing joy that the judiciary was on board, the vice-president pledged the executive’s support in ensuring effective investigation of cases and speedy dispensation of justice. He said the anti-graft war is a “collaborative venture of all,” and that the executive, judiciary and legislature must see it as “a fight for the soul of our nation”. Osinbajo observed that all the nations that succeeded in winning the war against graft had to change the administration of justice system as well as the methods of investigation and trial of corruption cases. “Most of the countries that have successfully dealt with corruption have had to dispense with needless technicality and focused on the offence,” he said. “In the case of public officers, they recognise that there can be no real explanation for a public officer whose pay is public knowledge to have cash and assets several times more than his earnings, let alone his savings. “If somebody earns in excess of what he should possibly even save in several lifetime, freeing him technically can never make sense, it will always seem that something has gone wrong with the system.